W&W dropped their track titled, “Rave Culture.” It was the very first release from their brand new label, Rave Culture. On top of this, they have officially followed up their initial release with a banging collaboration. The next release, “Ready To Rave,” mashes the style of five-time #1 DJ in the world, Armin van Buuren, with the style of the ever popular duo. Armin had envisioned the duo’s potential way early in the game. So he had them signed to Armada Music ten years ago. So get ready for “Ready To Rave.” This monster of a track is sure to explode. The way it blasts from the stage to your ears is remarkable. And, most importantly, it has an infectious hook that is already delivering as promised. Major festivals across the globe were infected by the song this past summer. Fans may have already predicted a collaboration with Armin and W&W. Did you notice the Armin cameo role at the end of “Rave Culture?” If you paid attention, he hinted toward a possible collaboration between the two globally acclaimed dance music acts? Well, he wasn’t lying (click here to watch the video), and that moment has arrived. The new music video sticks with the same futuristic design as its predecessor almost as if it is the sequel. Armin van Buuren had this to say, “It’s been such a pleasure to see W&W turn from two young, talented boys into one of the most successful dance music duos of our time. 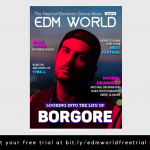 This track [“Ready to Rave”] is definitely meant to get people to go nuts and rave relentlessly wherever in the world they are.” Click here for more Armin van Buuren reads! 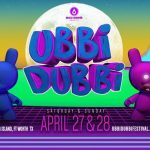 Want to experience their new release first hand? 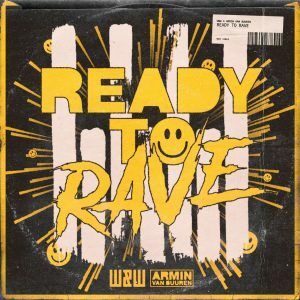 Click here to add the song to your playlist and blast off with W&W and Armin van Buuren’s new track “Ready to Rave!” Be sure to leave a comment telling me what you think of Rave Culture’s new sound.